I love the card I am sharing today. I used the Hexagons 3D Dynamic TIEF on the Springtime Foils SDSP and then sponged over it with So Saffron ink. I kept the greeting simple by using a die cut word from the Celebrate You Thinlits. I just really love the look of this one. Beautiful! 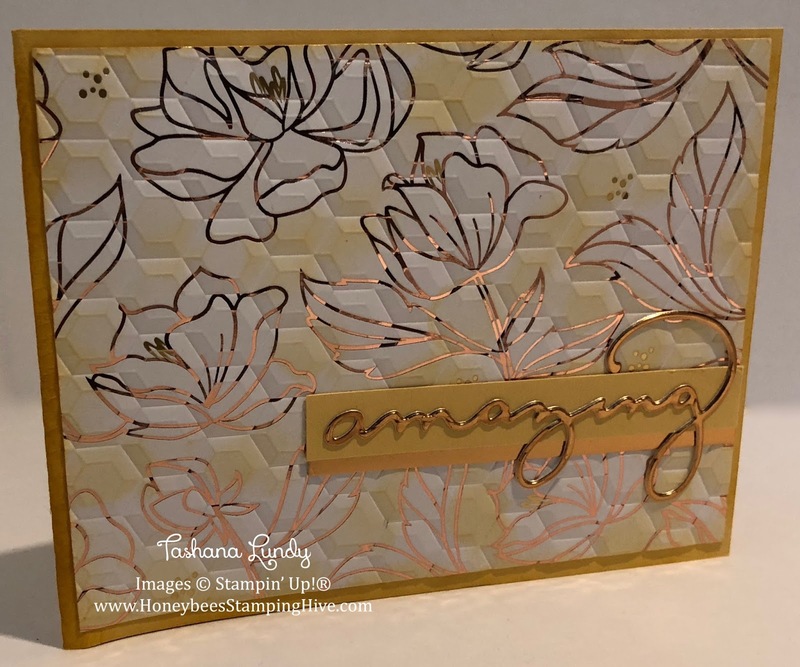 I love this, I also loved your black Amazing springtime foils card and would like to know how you did it. Thank you, Barb, for the kind words. For the black Springtime Foils card I just rubbed a black ink pad over the DSP and wiped off the excess ink with a paper towel. 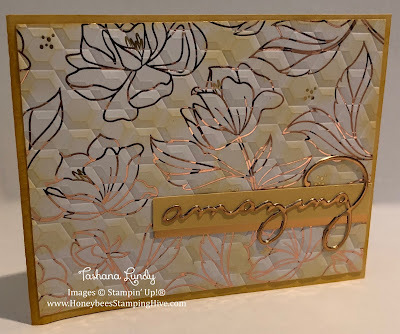 I saw this on Stampin' Connection and thought WOW! I really like the inspiration you give your fellow demonstrators. I would like to CASE this for our next Stamp Camp! Thank you for sharing your creations.